I love Madrid as a city. I’ve been a frequent visitor in the last five to six years and I’ve been going back more and more in the past few months as I’ve opened my restaurant, Benares, there. What I love most is its vitality and energy, and the food scene is also incredible. My wife and I really enjoy exploring Madrid. This is a city you can just walk around in. The Gran Via, which is the main street, is lined with beautiful trees and though there are skyscrapers everywhere, there’s plenty of greenery too. You can hire a bike, ride around the place or hitch a cab ride. There’s a beautiful park in the heart of the city called Parque del Buen Retiro (Park of the Pleasant Retreat), which has lovely fountains. The Plaza de la Independencia or Independence Plaza is a great place to explore as well — it’s where most of the revolution took place, and there’s a lot of history attached to it. Madrid’s architecture is breathtaking. One of my favourite sites is the Golden Triangle of Art. It’s made up of the Prado Museum, Reina-Sofia Museum and the Thyssen-Bornemisza Museum, which are all brilliant. They are situated around The Paseo del Prado, an important boulevard and the most dominating part of the city. It’s wonderful if you can find time to explore each building. They were built during the 1900s-1920s — the period of nouveau art in Europe. My wife likes to shop in Salamanca — it’s the equivalent of London’s Bond Street. You have every big brand there, as well as smaller, home-grown ones. 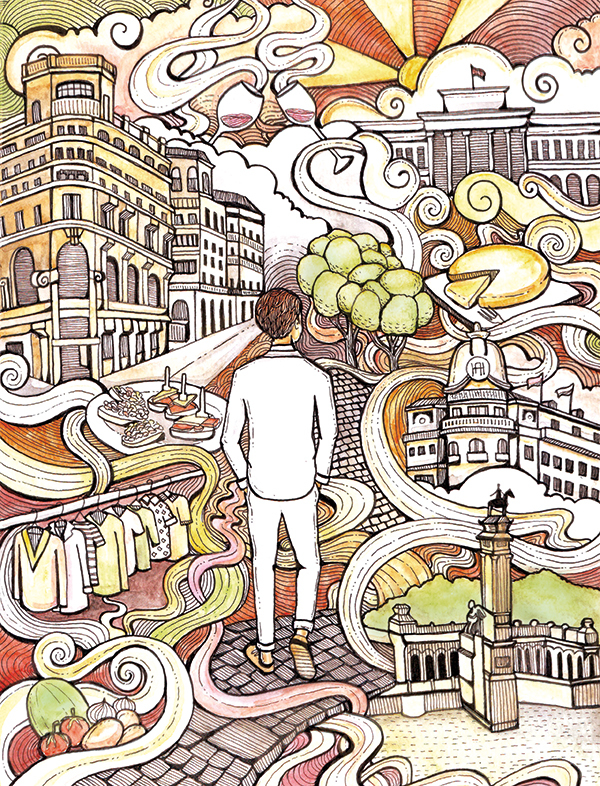 Spain is a very stylish country and Madrid is its fashion capital — much like Paris and Milan, in my opinion. I prefer shopping in Chueca, it’s got more trendy and bohemian options, and it’s close to the city centre. Spaniards love their food — it’s the focal point of their lives. Their markets are the most elegant ones I have seen, and are representative of the great agricultural offerings of the country, like tomatoes and onions, and fruits like watermelon and melons. I recently tasted Spanish mangoes and they were absolutely amazing. Of course, our Indian mangoes are superb, but these were delicious! That they can be grown in Spain has truly tickled my imagination. What I like most about the food is the tapas culture. Though I love Barcelona equally, Madrid is way ahead when it comes to fine dining and the quality of tapas bars. You can go bar hopping — pick up a small bite at one bar, and go to the next one for a drink. And the one thing I love is their Spanish omelette. The kind I have eaten in Madrid, I haven’t eaten anywhere else in the world. A lot of people would think that Madrid, being a city, wouldn’t have any vineyards. But if you step out, just a short five or 10-mile drive away, there are some spectacular ones — probably only the residents would know about them. The Spaniards are completely passionate about their wines. The local ones are full of flavour, and I think the red wines are really delectable. 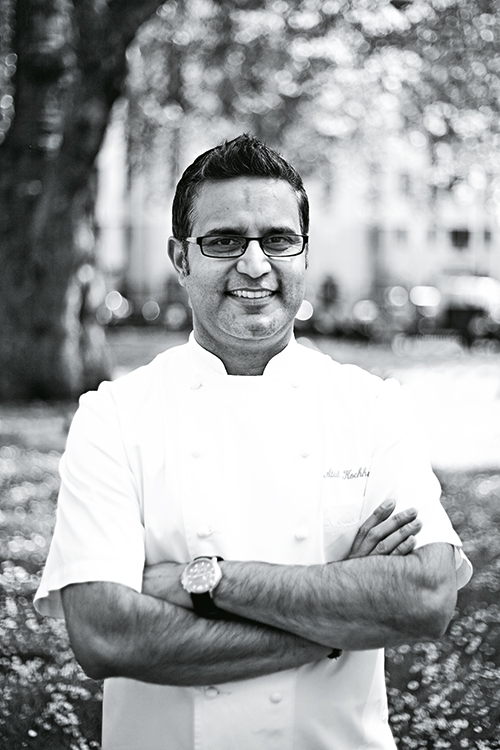 A Michelin-starred chef and restaurateur based in London, Atul Kochhar is known for his unique take on modern Indian cuisine. The critically acclaimed chef has appeared on several television shows in Britain, and recently opened NRI and Lima, his first two restaurants on Indian shores.